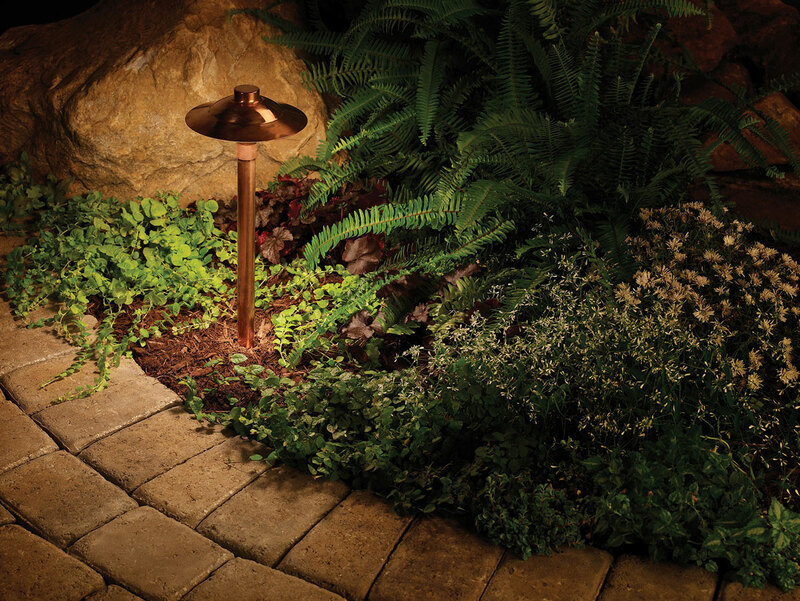 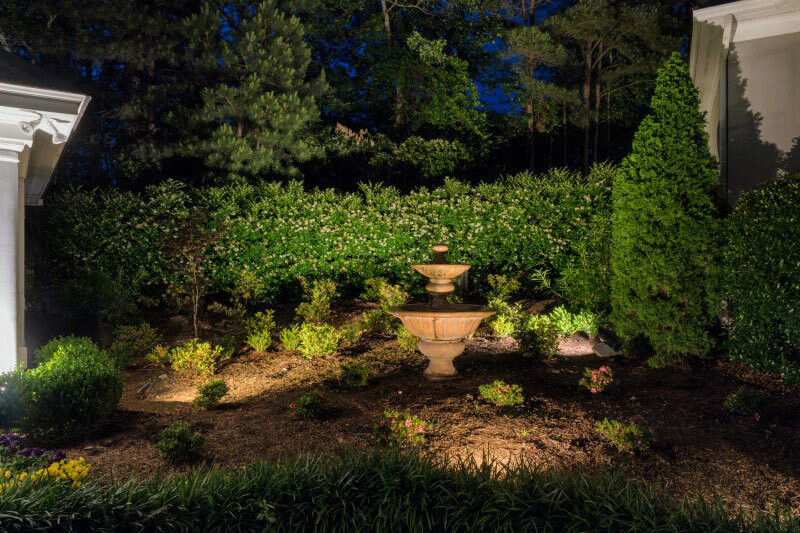 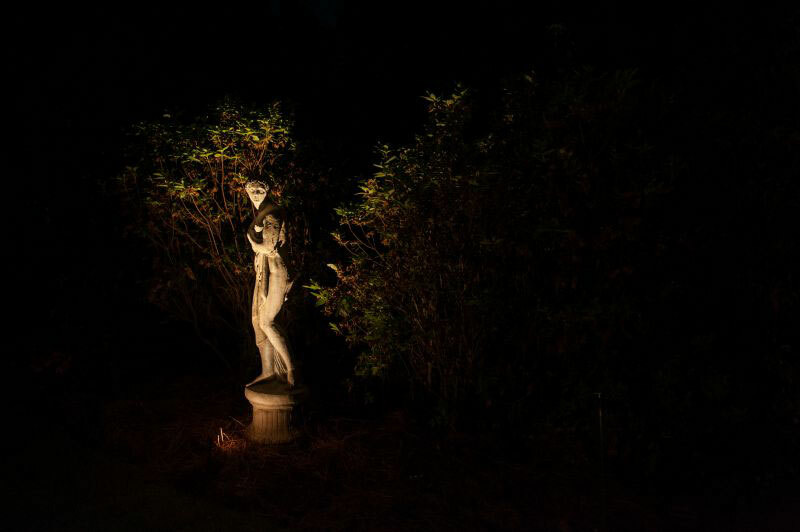 Beautiful gardens shouldn’t hide after dark, and they won’t with professional landscape lighting. 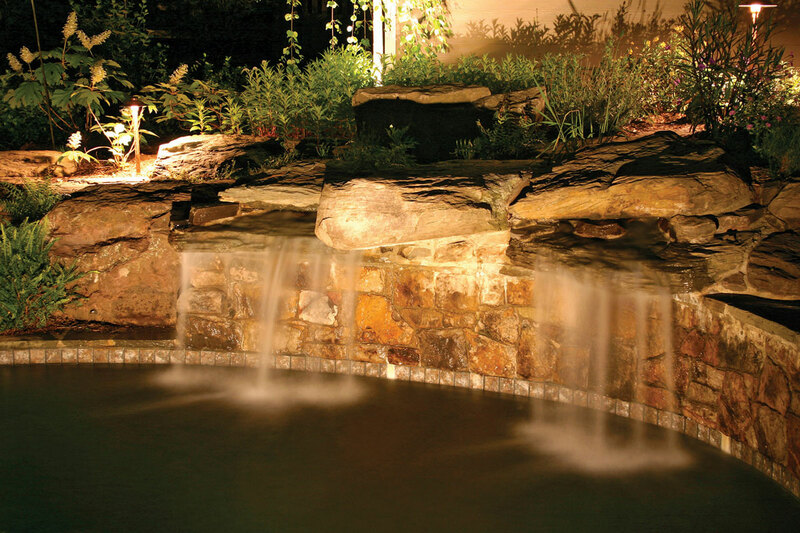 Your landscaping is one of the loveliest and most distinctive features of your home. 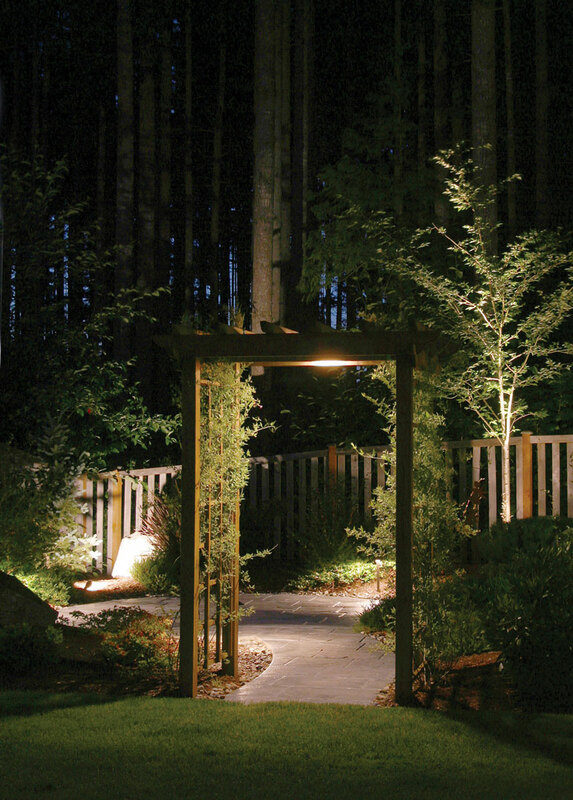 And yet it’s probably hidden once the sun goes down… diminishing your enjoyment of the view and limiting the usability of your yard after dark. 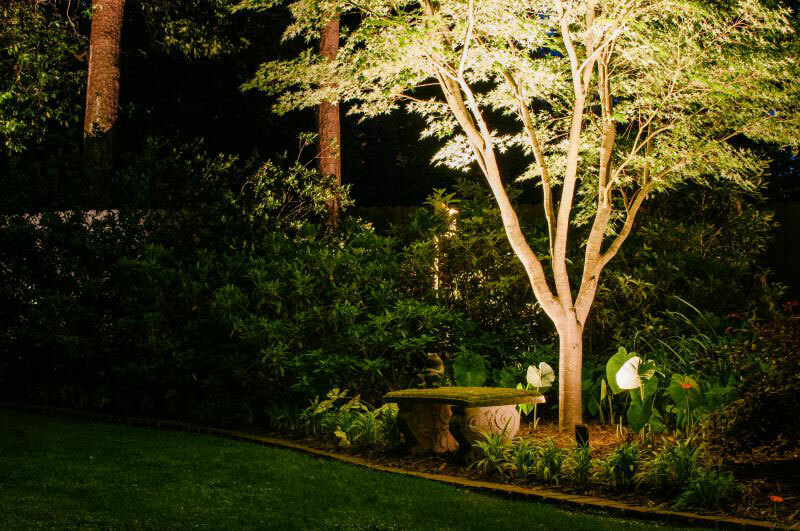 We make the most of your landscape and garden areas with professional outdoor lighting that’s tailored for trees, gardens, fountains, pathways, statues and other notable backyard features. 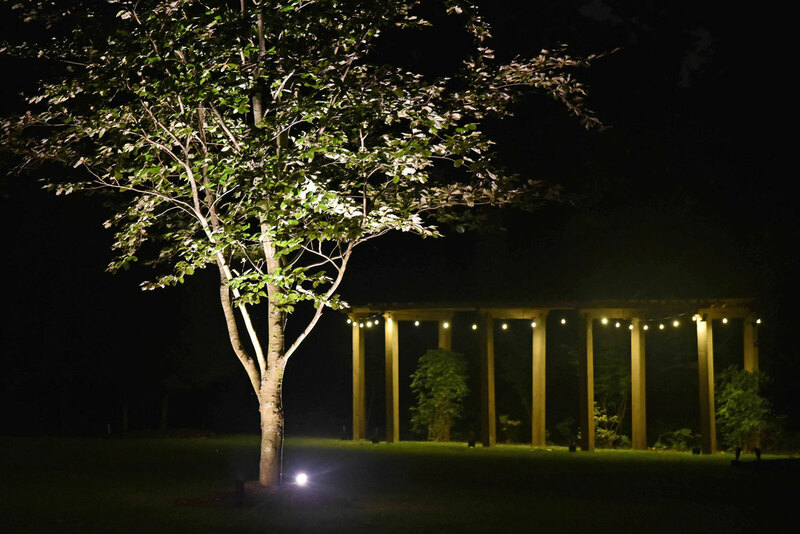 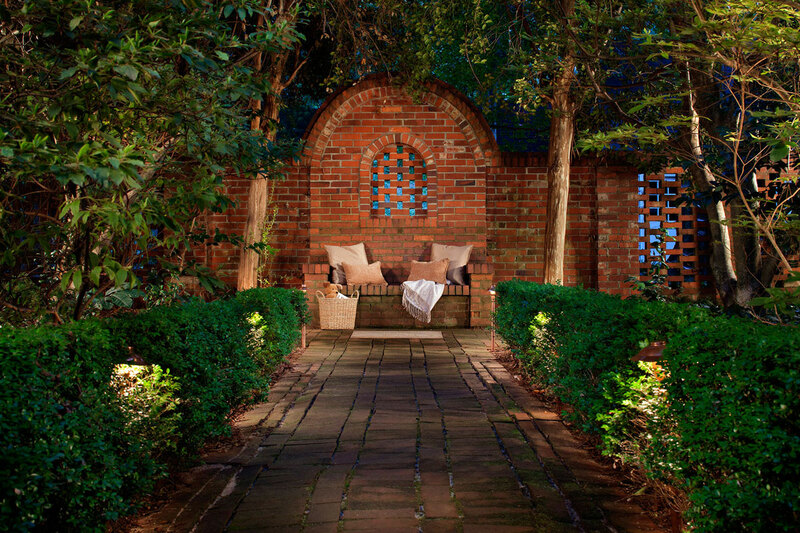 Our landscape and garden lighting design experts orchestrate the outdoor lighting fixtures to set the mood you want — whether it’s soft and romantic, or cheerfully lit. 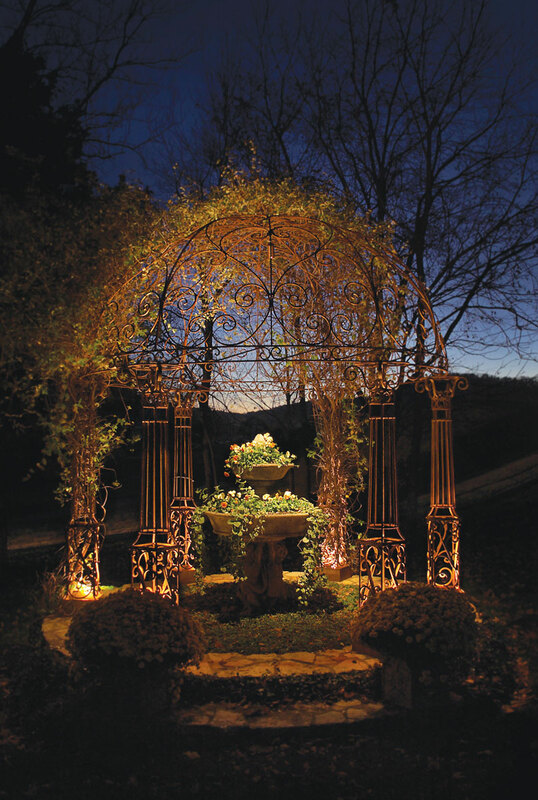 We can even add a touch of color with warm washes of golden light, adding vibrancy and charm. 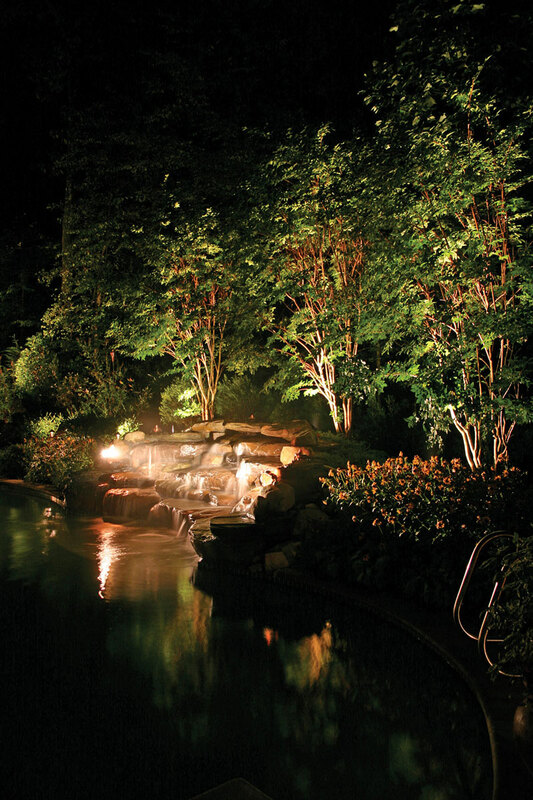 If your landscaping could talk, it would thank you for making it look so terrific. 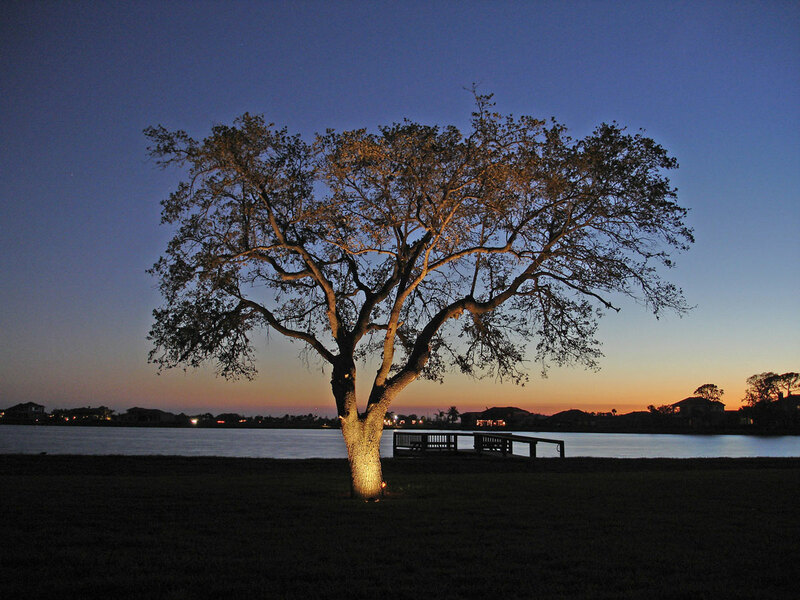 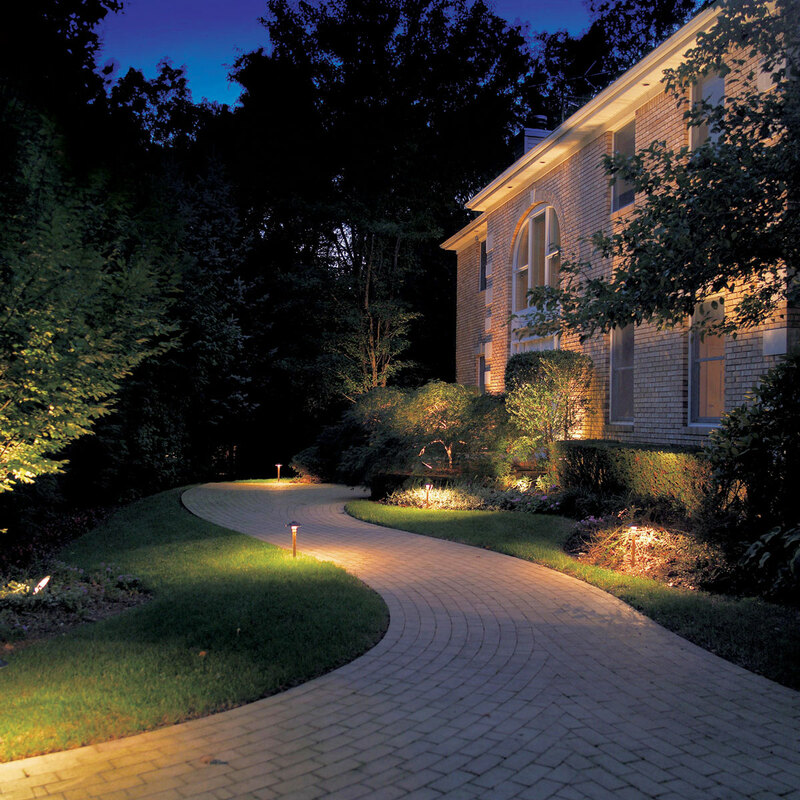 It is true that our landscape lighting systems utilize the highest quality fixtures in the industry. 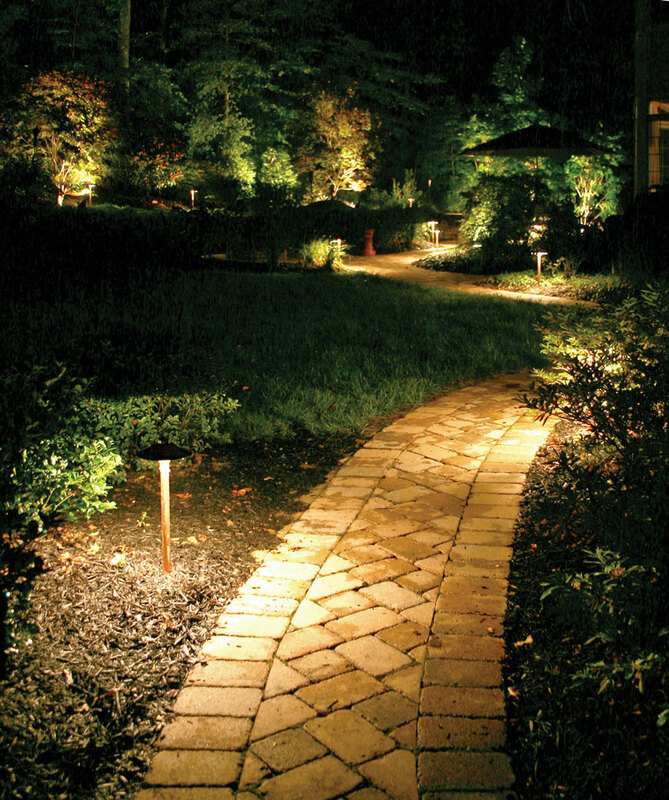 However, as always with good landscape lighting – the focus is all about the effect and not the fixture as our fixtures become one with your existing landscape.